In this house, we have two small tots, a busy mommy, and a Daddy that works hard all day and runs home just in time for a hot meal with his family so I am always trying to create healthy meals but fast and easy meals. I also am one of those people that likes to cook a variety of foods not the same five meals on rotation! 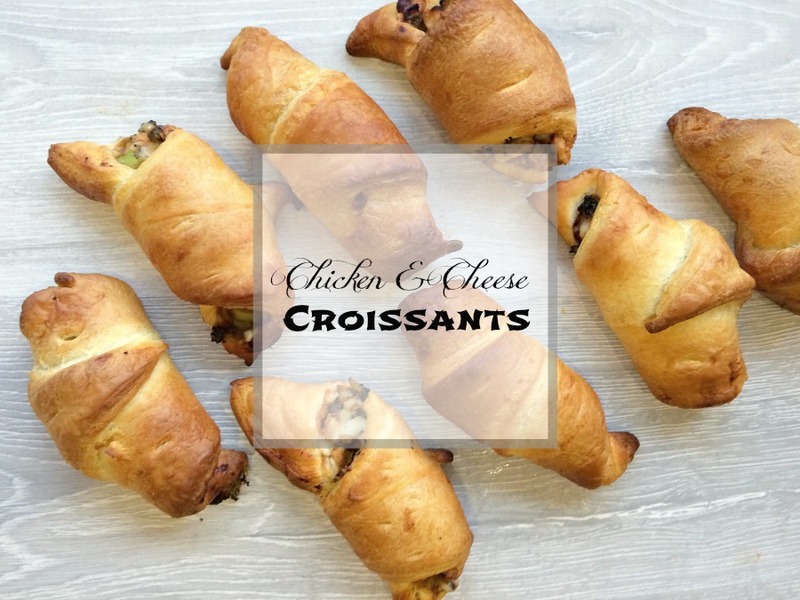 I thought I would share with you our yummy Chicken & Cheese Croissant recipe! They are fast and easy just as all my recipes on Let’s Talk Mommy are, I am not chef I tell you. I also like to create meals that have various tastes so my children can grow up with a wider food palette than I ever did. 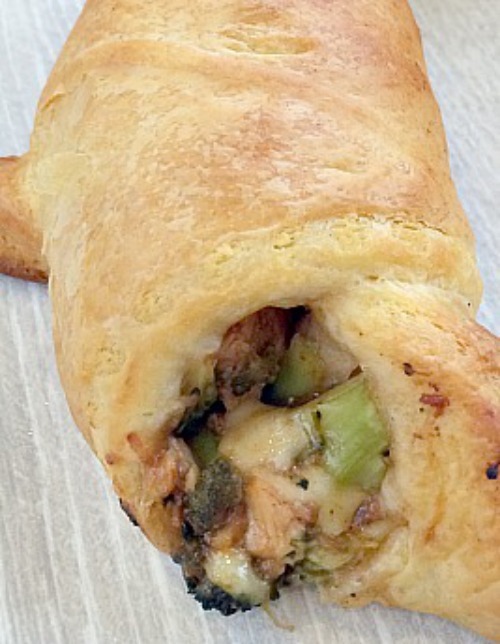 This recipe is bursting with vegetables, protein and has such a delicious flavor to it the whole family is sure to love it. Not to mention the kids who get to eat with their hands for dinner. Trust me that’s a bonus in the eyes of a toddler! These are really great for a buffet style party or if you are having guests over in the afternoon but don’t want to make a sit down meal. It’s great for a light-bite lunch with friends too, go on invite them over, they will be very impressed. Why not pair it with my Fizzy Lemon Cocktails for an after-party celebration. These look so scrummy I think I want them for breakfast! Thanks hunny. They are a huge hit with the family. They love finger food! I actually had a bunch left over and they were good cold even the next day. Like cold pizza. I was impressed. Thanks Ciara. Yes savory ones are my favorite ever next to chocolate of course. I out taco beef and corn in them sometimes too. All kinds of things you can stuff them with. Yes try tgem out. You can put anything in them- chicken, beef, stews, beans. We make them so many different ways. Thanks Rachael! Yes do they would be perfeft for a brunch. You can put anything in them! The family love them. These look gorgeous. 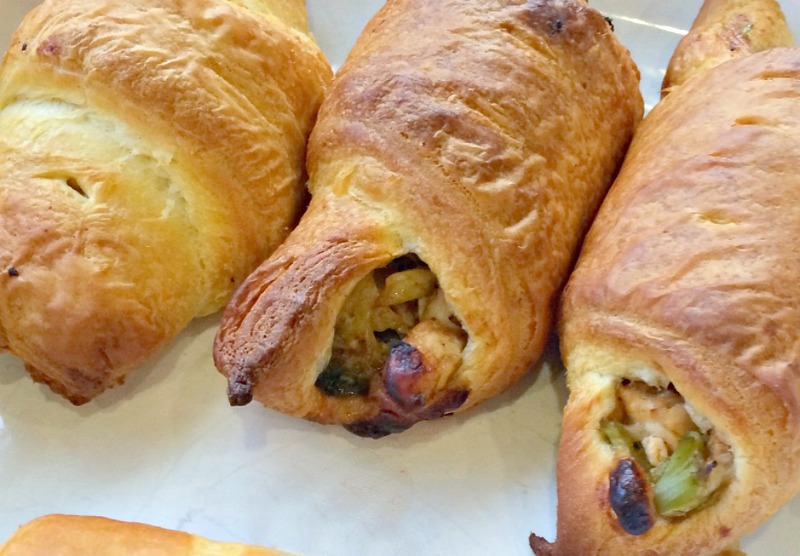 They would be ideal for lunch as well as for breakfast. Thanks Alison. I know pretty much my go to food is croissants. Egg ones for breakfast, chicken ones for lunch and chocolates for dessert. Hahaha cant go wrong with a croissant anytime. This looks just fab! I love anything with pastry and cheese, so this is definitely a yes for me 🙂 Pinning now to try out. Thanks Sophie! Let me know what you think of it. So yummy. Yes please do and let me know what you think. 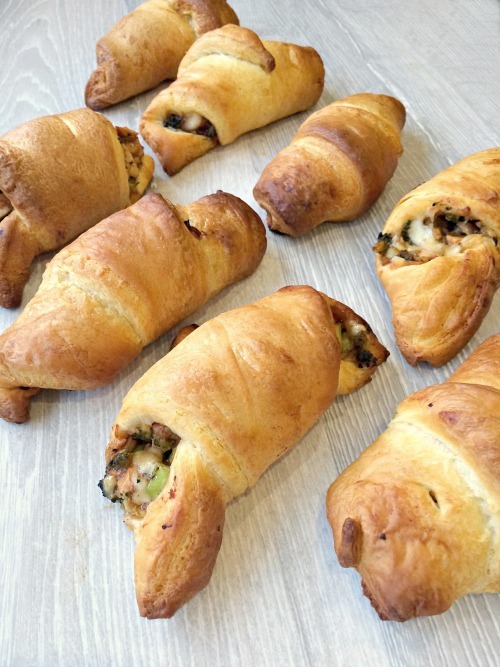 Alot of people don’t think savory and croissants mix but its so delicious. The kids love it. Thanks hunny. They are a huge hit in our house. Thanks i always love to hear people pinning my recipes. Appreciate it. Let me know if you like them. 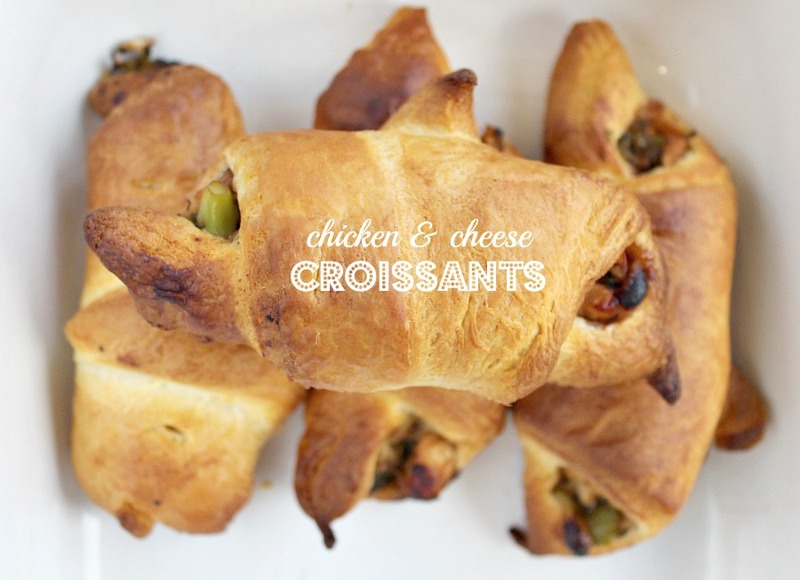 Croissant are great because you can quickly and easily put anything in them!!!! So delicious.